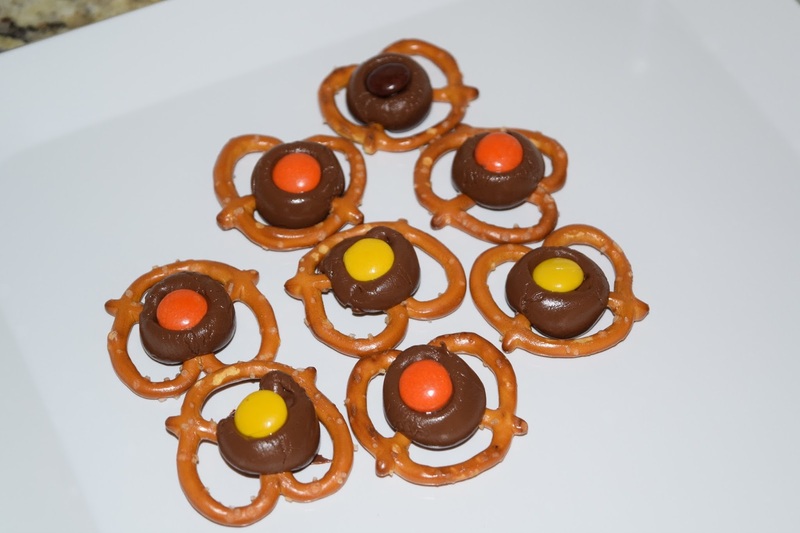 With Halloween this weekend, I thought I would share an easy little Halloween-themed recipe that will be perfect for any party or get-together. If you're throwing a party, the last thing you want to do is spend the entire thing in the kitchen. There are thousands of Halloween-themed recipes floating around Pinterest, but many of them require multiple dishes, ingredients on ingredients, and food coloring. Let's keep it simple, yall. One great thing about this recipe is that you can make as many or as few as you wish. I would offer one piece of advice though: these treats will disappear quicker than you think. You can easily eat 10 in one sitting without even blinking. They will be a favorite at your Halloween party! 1. Preheat the oven to 275 degrees and line a baking sheet with foil for easy clean-up. 2. 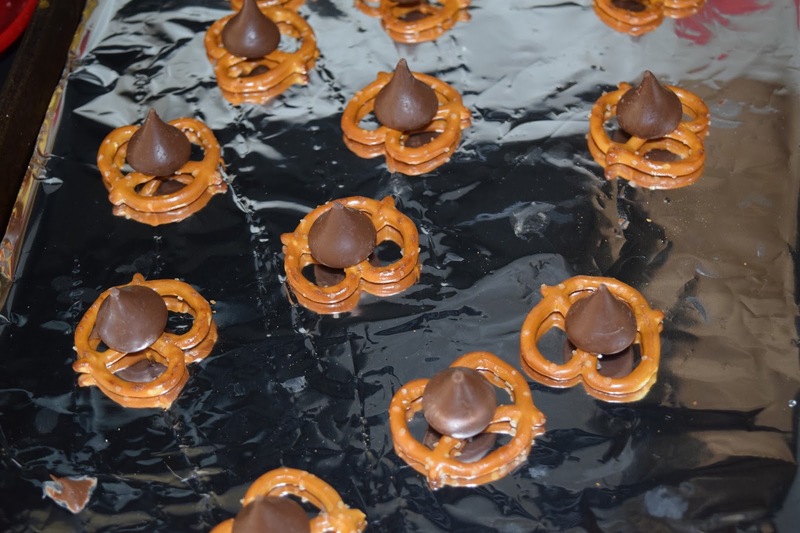 Place pretzels on the lined baking sheet and top each one with a chocolate kiss. 3. 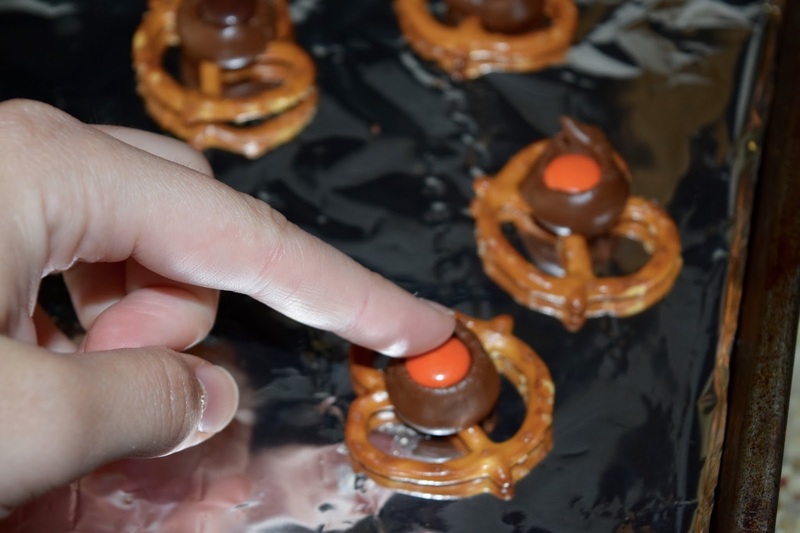 Place pretzels and chocolate in the oven for about 3 minutes- just long enough for the kisses to get soft. 4. 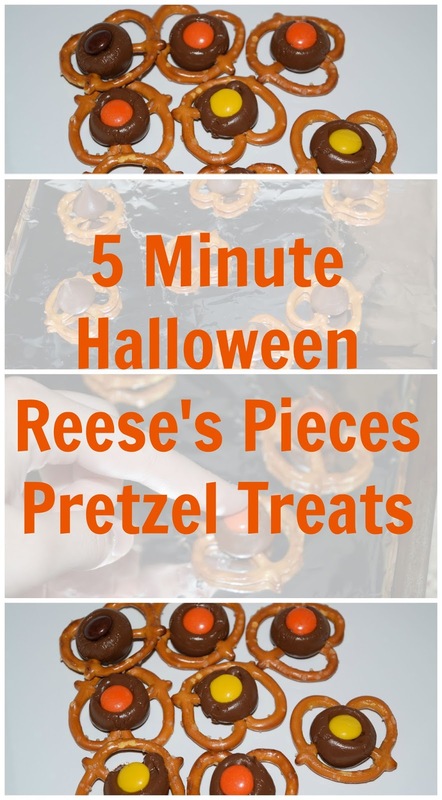 Remove from the oven, and immediately press a single Reese's Piece on each. 5. Refrigerate for 10-15 minutes to allow them to harden and enjoy! Yum! I'm down for anything involving pretzels! these are my favorite! salty + sweet YES! I'm obsessed. This looks super simple and absolutely delicious!